Foreigners Gather in Droves at Border to Illegally Enter U.S. Illegal immigrants from Central American countries continue to arrive to the Mexican border city of Reynosa. Their hope is to be smuggled illegally into the U.S. by the leading criminal organization in the region known as the Gulf Cartel. 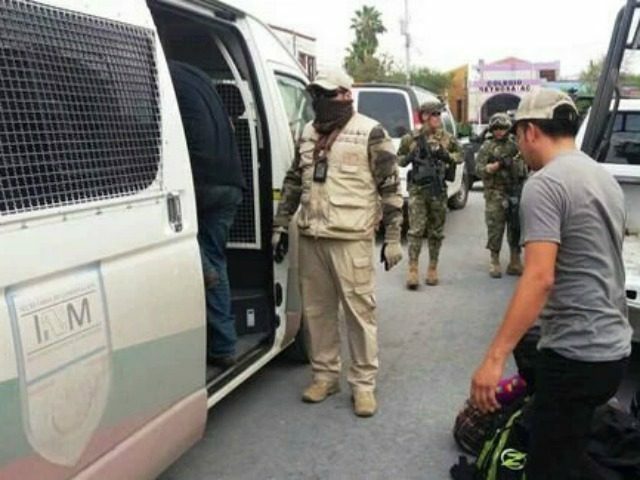 Mexican authorities caught a group of 17 Central American individuals inside a house in the border city of Reynosa last week. Police responded to an anonymous tip of kidnapped individuals at a human stash house in the Valadeces neighborhood, information provided to Breitbart Texas by the Tamaulipas government revealed. A task force of state and federal law enforcement officials responded to the house and found 11 individuals from El Salvador and six from Guatemala. Four of the individuals were under 18-years-of age. Once in custody of law enforcement, the group told authorities that they had not been kidnapped. The members of the group said were in Mexico illegally and were waiting for their turn to cross into the U.S. with the help of human smugglers. Mexican authorities caught a similar group of 16 individuals earlier in the week. They were also hiding in a human stash house waiting for their turn to illegally enter Texas. In that case, the Mexican Army responded to an anonymous tip of individuals who had been kidnapped. The group was allegedly being held at a house in the Esperanza (Hope) neighborhood, information provided to Breitbart Texas by the Tamaulipas government revealed. Once in custody, authorities found that 12 of the individuals were Mexican citizens from various parts of the country, thus not illegal immigrants to Mexico. The three other people in the house were from El Salvador and one was from from Honduras. Two members of the group were under 18-years of age. It appears that some of the individuals in that second group caught in Reynosa may have been held against their will. Mexican authorities took the 12 Mexican nationals into custody as “presented” individuals. The term is used in the Mexican court system when a person is considered a potential witness. The Central American individuals from the two groups were in Mexico illegally. They were taken into the custody of Mexico’s National Immigration Institute (INM), the agency tasked with their deportation procedures. As Breitbart Texas previously reported, in recent years, the Gulf Cartel has been pushing hundreds of thousands of illegal aliens through the Texas border region known as the Rio Grande Valley. The move has been profitable to the cartel but it also has overwhelmed the resources of the U.S. Department of Homeland Security setting off a humanitarian crisis.